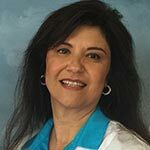 Anita Fragoso PA-C is a graduate of Stanford’s University Primary Care Program. Her love and passion have been working with the medically under served in the farm labor communities in Rural South Monterey county area. She has devoted herself in providing high quality and compassionate medical care for over 20 years.